Sometimes, we just don't want to mess with a good thing. One of the best things about blueberries is how versatile they are. Salads, sauces, desserts, and savory dishes can all be elevated by this amazing fruit. Despite all the amazing ways blueberries can be eaten, one of our favorites will always be right off the plant. They're fresh, sweet, and completely delicious. 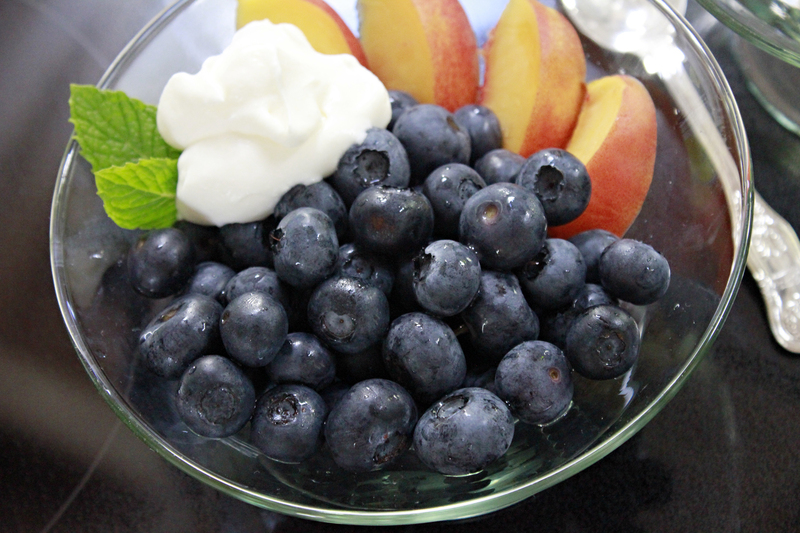 For this Food Friday, we wanted to share one of our favorite fresh ways to enjoy blueberries: with nectarine slices, a dollop of yogurt, and a few mint leaves. This is a perfect treat during a warm day and takes almost no time to make!